I tentatively use the word 'curry' here only to attract traffic, as many people understandably relate 'curry' to South Asian cuisine. But the real descriptive I'd use for this South Asian inspired dish is Salan or even handi. Handi in Urdu, Punjabi and Hindi translates as a cooking pot; a cooking vessel. Again some of you may be familiar with the term 'Balti' which means bucket, but I have never met a South Asian person who refers to their cooking pots at home as 'Balti'. I think 'Handi' is far more appropriate and closer to homely cooking. 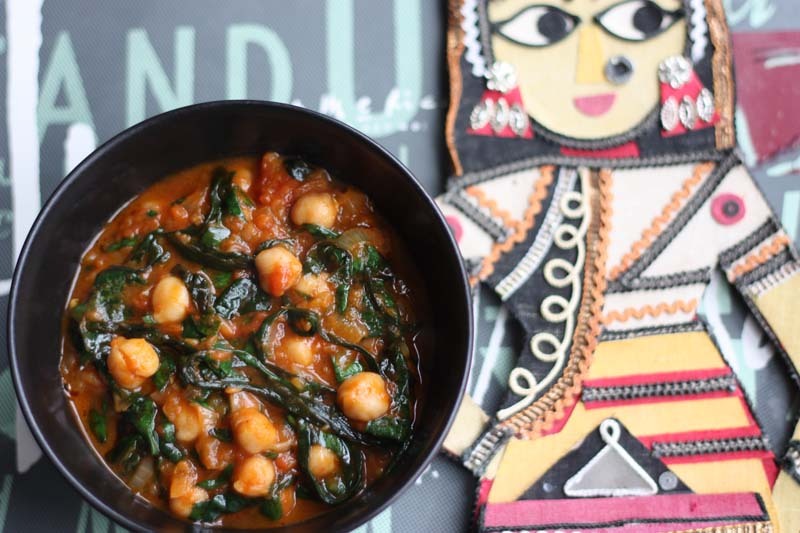 The Wild Garlic and Chickpea Salan was full of flavour and rather buttery. Its important to add the wild garlic towards the end of cooking, add it too soon and you will lose all that wild garlicky - chivey flavour. 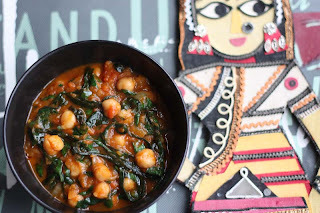 I served this Wild Garlic Chickpea Salan with some Wild Garlic Roti also known as Chapatti's. I enjoy eating methi aka fenugreek roti's, but in its places I decided to add some minced wild garlic and without sounding big headed, it tasted splendid and was a nice change. Its very unlike me, but I forgot to take a picture of the rotis as my hands were full flipping the flattened dough between my palms, before slapping it down on the tava (cast iron skillet) to cook, and then I was just too hungry to wait. I'll probably make some more in the next few days, if you can be patient, but if not and you want to make some Wild Garlic Rotis at home, there are so many Methi Roti and Methi Paratha recipes on blogosphere. 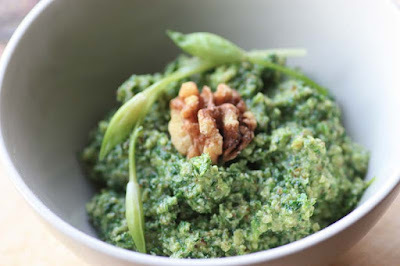 Just find one you like and just substitute the fresh fenugreek leaves for wild garlic leaves. In a large wide pan, melt butter then add the minced onions, garlic and ginger and cook until transparent, add the spices and the fresh chillies and cook until the fat of the butter comes to the surface. Add the tomatoes and cook until well integrated. Then add the chickpeas, stir and turn heat down. Keep stirring to stop the beans from sticking to the pan, about 5 minutes before turning the gas off, stir in the wild garlic and allow it to wilt. This is a dry salan; but if you want it to have a little liquid, add 150ml - 250ml water to the pot, bring to the boil, let it simmer until the flavours have infused into the water. Serve with rice or roti. Mangocheeks, you are so knowledgeable! 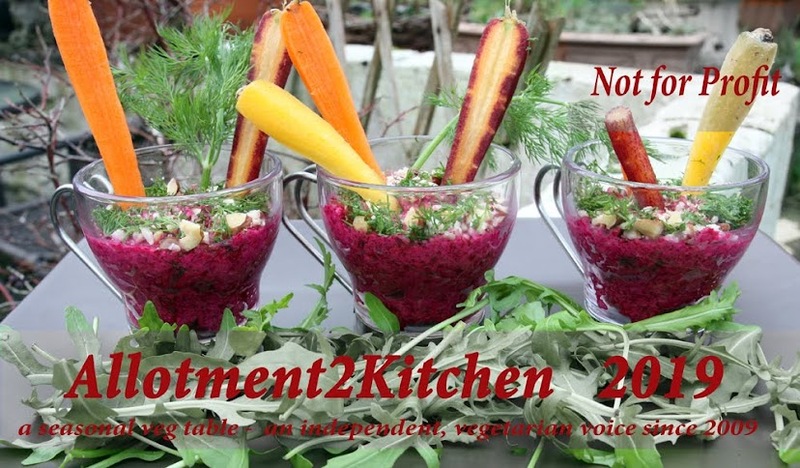 your blog is a feast of linguistics as well as of gastronomy. Ooh, this dish looks delicious. I love chickpeas! I actually enjoy making rotis aka chappatis, I find it soewhat therapeutic - is something wrong with me - I'm just not that keen on kneading the dough. I'm not that knowledgeable, it just comes across that way in my blog - but I am curious and always willing to learn. Funny you should mention Chana Saag, I am making a Channa Dal with Wild Garlic soon. 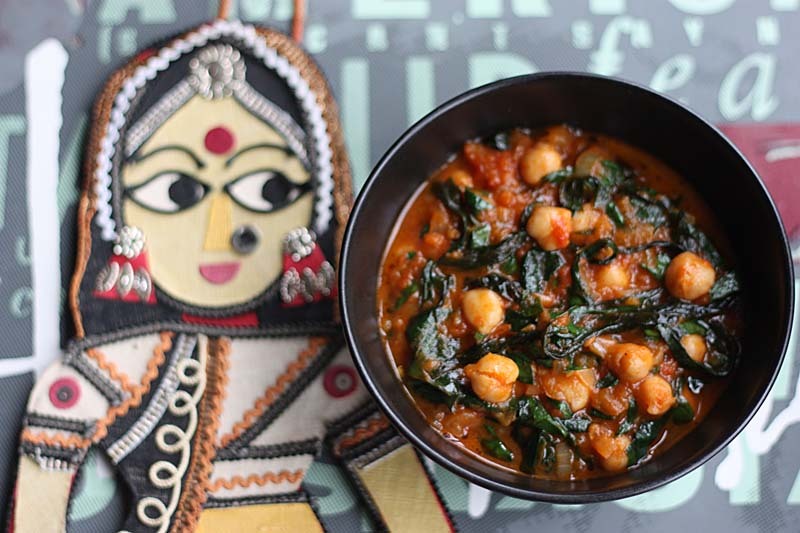 I know what you mean about Channa Saag, this dish is def. a varation of it. I'm interested in your reference to Komatsuna, so will be doigna little reading on that. 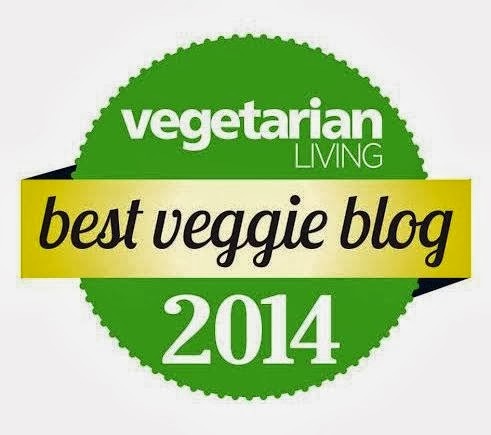 You may be interested in a blog entry of mine on the difference between Saag and Palak.